Frames: This workshop examines perspective through nature, making and conversation. 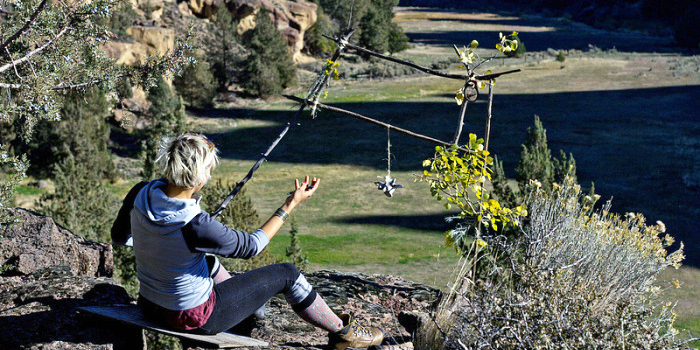 Since 2012, Laura DeVito been making wooden sculptural frames from found branches. The entire process is meant to slow down the mind by being in nature, working with the hands and making a literal sculpture of perspective to develop self awareness of personal biases. In the past, it has created meaningful discussions and caused epiphanies. Please contact Laura DeVito if you are interested in offering this workshop at your organization.